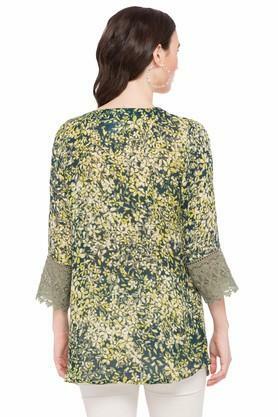 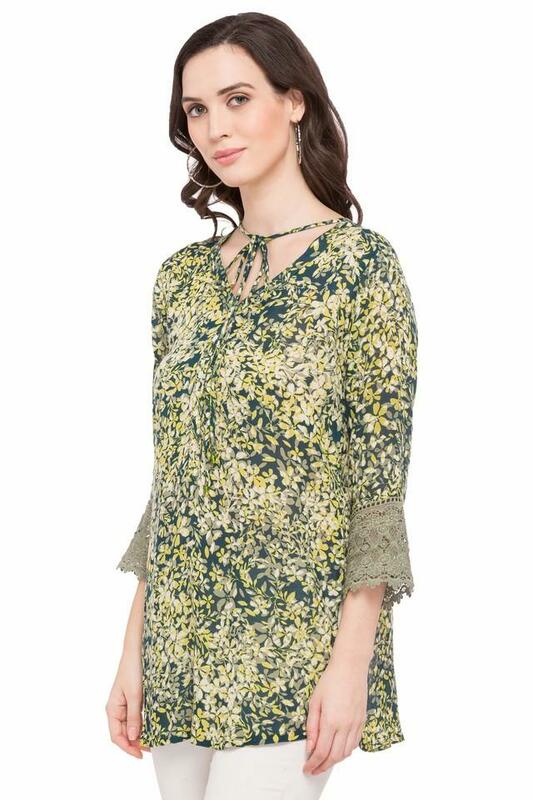 Add a feminine print to your occasion wardrobe with this tunic from Sanaa. 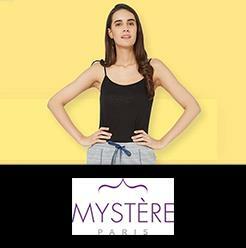 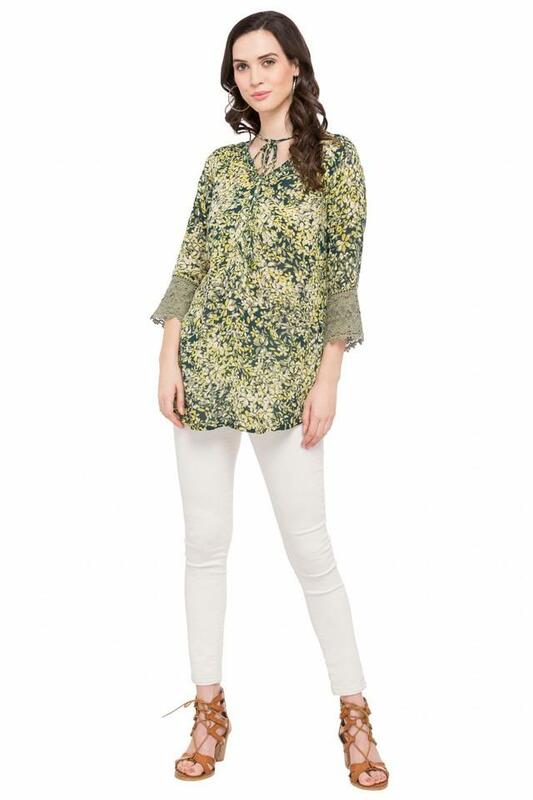 Made of good quality fabric, this tunic is also extremely soft against the skin. 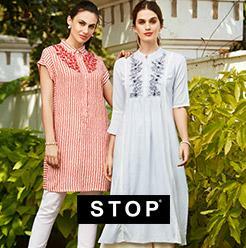 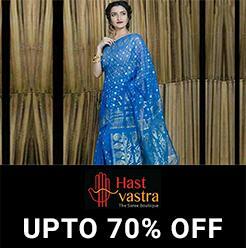 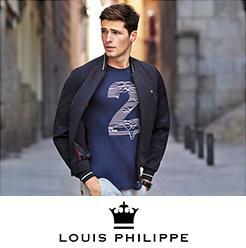 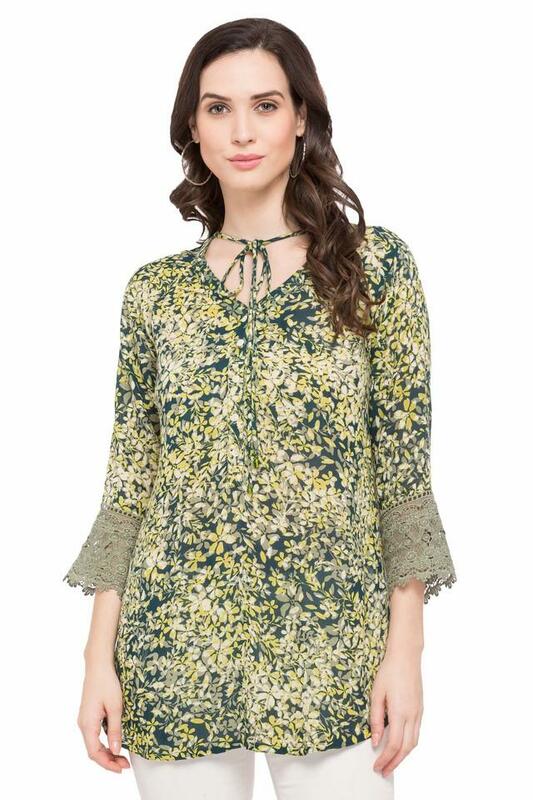 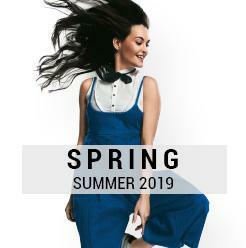 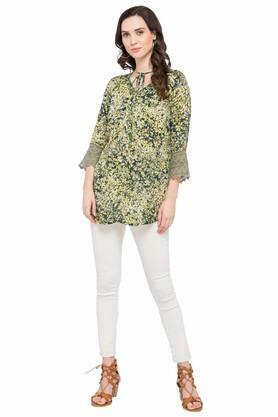 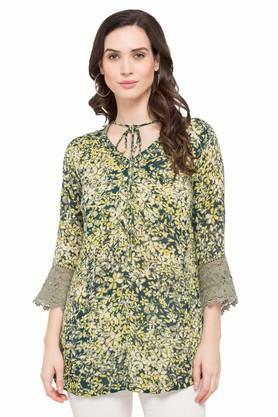 Featuring a tie up neck, three quarter sleeves and printed pattern, this tunic possesses a stunning smartness.